These olives may be small but they pack quite a punch. 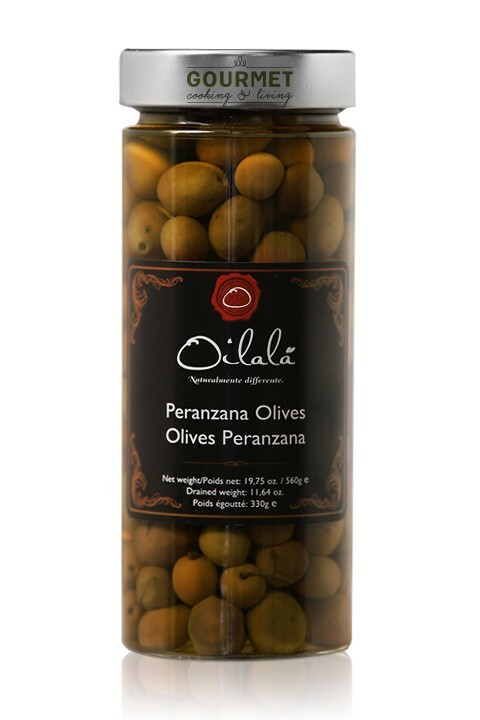 Intense in flavor, these Peranzana olives have a thin black skin small and medium firm texture. After harvest, they are cleaned and preserved in jars with a light brine to fully capture their natural bitter flavor. Enjoy them alone as an appetizer or as an ingredient in salads, fish dishes and marinades.